A new poll in California indicates a dead heat among that state’s voters on Proposition 23, the ballot initiative in which out-of-state oil companies are trying to cripple the nation’s most progressive law to combat global climate change. That law is AB 32. Proposition 23 would stall its implementation. In the event voters decide to keep AB 32 intact, the attorneys general of at least three states – Texas, Alabama and Nebraska -- say they’re ready to sue California to kill it. In effect, the three AGs want to prove it’s unconstitutional for a state to decide it won’t purchase dirty energy – for example, coal-fired electricity -- from somewhere else. California’s voters would be justified defeating Proposition 23 just to send a message to outside agitators to mind their own damn business. After all, California’s people and their economy have a lot to lose from climate change, including water shortages, wild fires and sea-level rise along the state’s 840 miles of coastline. For the rest of us, the derailment of AB 32 would be another major loss to the carbon lobby in a year of depressing policy defeats, first in Copenhagen, then in Congress. By default, the world’s hope for climate leadership from the United States now rests with state and local governments. Partly as a result of California’s example, more than 30 states are implementing or creating their own climate action plans. The Nov. 2 election, including the outcome of Proposition 23, will affect the political climate for climate action well beyond California. The derailment of AB 32 would also be a serious blow to representative government. 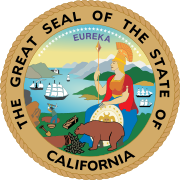 The bill was passed with bipartisan support in the California legislature and signed into law by Republican Gov. Arnold Schwarzenegger. It’s an example of how government is supposed to work. The only thing wrong with the law is that Congress hasn’t already passed something like it. Opponents of AB 32 have gathered more than $8 million to promote Proposition 23. At last count, about $5.5 million came from Valero Energy Corporation and Tesoro Corporation, two oil companies based in San Antonio, Texas. A Kansas petroleum company owned by Charles and David Koch, the libertarian billionaire brothers who reportedly have helped fund the Tea Party movement, contributed $1 million. The good news, insofar as money is a proxy for votes, is that environmental groups and green entrepreneurs are fighting back. Grist reports they have contributed more than $11 million so far to defeat Prop 23. Both sides seem to recognize that Prop 23 is a vote on who controls government: the people’s elected representatives or the oil and coal industries. That question already has been decided in Congress, where the carbon lobby is in control. The oil companies behind Prop 23 will argue that citizen referenda are a legitimate instrument of democracy, too. But just in case, the industry has a backup plan in the threat from the three attorneys general: They will use the courts to defy the will of the voters. Decisions (on climate action) with such far-reaching impact should not be left to unelected regulators and judges. Such decisions should be debated openly and made by the elected representatives of the people they affect. Second, litigation can cut both ways. Legal battles over climate policy are opening interesting avenues in the courts, some of them described by Mother Jones last spring in an article about “The Coming Tide of Climate Lawsuits”. Victims of sea-level rise in Alaska are using nuisance laws to sue 19 big oil companies including BP America and ExxonMobil on grounds their products are causing some Alaskans to lose their homes and villages. Last June, a federal appeals court ruled that landowners on the Gulf Coast had standing to seek damages against 32 energy and chemical companies whose activities allegedly contributed to global climate change and the intensity of Hurricane Katrina. Their lawsuit ran aground in the court system, but according to media reports could still end up in the Supreme Court. Last January, Micronesia filed legal action against one of the dirtiest power plants in the Czech Republic, 8,000 miles away, under the principle of “transboundary harm”. It’s conceivable the same principle could be used against entities in the United States that by commission or omission are contributing to climate change. What’s at stake? Wired Science, citing a “forthcoming United Nations study”, says the world’s 3,000 biggest public companies could be liable for $2.2 trillion, more than 30 percent of their profits, if they were required to pay damages for their carbon emissions. Which brings us back to President Bush’s lament that courts are doing what elected leaders are supposed to do. It’s a shame the biggest winners of the climate battle may be lawyers. But that’s the litigious world the carbon lobby has created by opposing progressive state and federal climate policies. It may come back to bite them.